I was at the gym recently, doing my time on the treadmill, when I saw one of the gym’s employees showing an elderly gentleman around to see what they had to offer. I was so impressed that this gentleman was interested in seeing what the gym had to offer him, because he was he was at least 80 years old, and probably older than that. 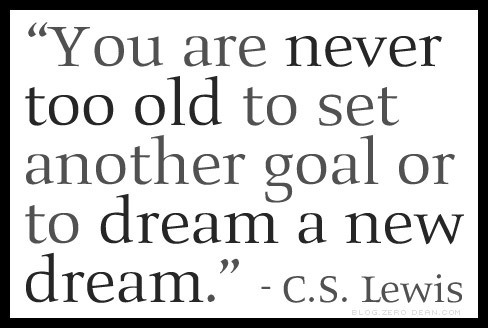 It struck me that “it’s never to late” to invest in ourselves and grow into what we want to become. This gentleman, despite his advanced age, was ready to do what he could to have a higher quality of life. He knows it’s never too late for self improvement, or for whatever you want to do. When talking with many of you, I find you are discouraged and want to give up when conducting a job search, especially if you have been searching for a job for three to four months with no results, and especially if you are over age 50. It does get discouraging and it’s temping to give up and dwell on what is negative. However, it’s never too late – I suggest you do all you can to focus on the end result you want – the perfect job for you – and determine what you have to do to get there. (A good start would be to invest $19.95 in yourself and join the Affiliation for Business Professionals Over Fifty – ABPOF) where you will receive monthly coaching on how to get ahead in your career. The busiest hiring season of the year is here – September and October. Now is the time to send your resume out if you are seeking a new job, and if you are currently working, it’s time to make sure your resume is a “10,” just in case you are notified about a new job possibility. A client came to my office this morning, devastated because he had worked for a company for 16 years and recently found out that his position has been eliminated. This man turned 60 last month and thought he would be retiring from the job he just lost. Now, he is scared, angry, feels he has no control over his career, and doesn’t know what to do next. I bet there are many of you who feel the same way. You have lost a job, or are worried about loosing your job and you are not sure what to do next. Ultimately, each of you works for yourself and each of you is responsible for your own career. Remember – nobody cares about your career as much as you do, so make sure you take control and lead yourself to success. Having said that, I want to introduce you to a profound idea. People need to be thinking about job hunting all the time. Not heavily, but consistently. Know that with the economy the way it is today, anyone could loose their job at any time – there is no more job security, or staying at one job until you retire – especially people over age 55. By the time you loose your job, you’re somewhat at a disadvantage because it takes quite a bit of time and work to find the right job. It’s better to be prepared on a continual basis. Many people are job hunting because they took the wrong job to begin with….maybe they had to take the first position they were offered in order to pay their bills. If you are in a job that you don’t love, or, is not fulfilling to you, you might want to begin a job search right now – while you’re still employed. One of the first things you need to address when conducting a job search, is checking to see if your resume is up to date and to determine if it reflects your true value. If you were hiring you for a new position, would you call you in for an interview based on the value that is reflected on your resume? 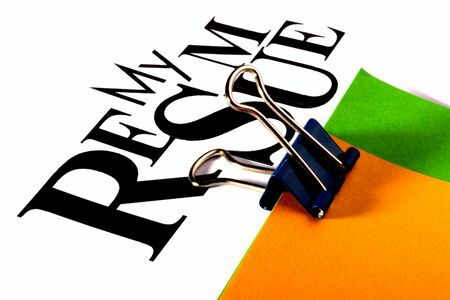 Is Your Resume “Employer/Recruiter Ready”? 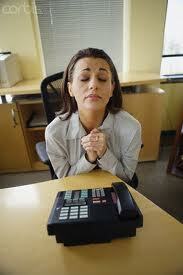 Are you getting calls for interviews in response to the resume you are sending out? If you are, that is wonderful, your resume seems to be working for you. If you are not getting calls (be honest), or you’re getting calls for positions you are not interested in, your resume simply is not doing its job and needs to be changed. There are just a few key words, or no key words, so your resume will not be pulled up in an employers database – it disappears into the deep dark hole. Human Resources departments are looking for reasons to eliminate resumes in order to get their “yes” pile down to a manageable amount, so they say “no” for all the reasons listed above. 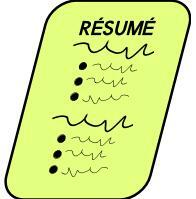 In today’s economy, your resume has to have all the right information, look great and represent you well. If it does not, it is a waste of your time to send it out. I am not trying to be hard or mean here, this is just a fact of life. 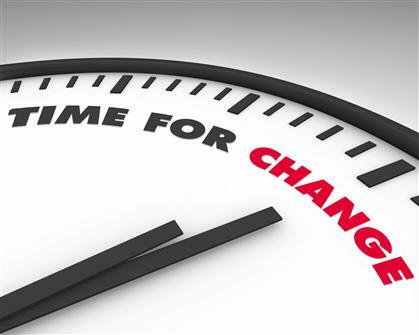 If you are not getting results when you send your resume out, changes have to be made. It’s as simple as that. I bring this up now because, as I stated earlier, one of the busiest hiring seasons of the year is almost upon us – September and October. Companies are searching for job candidates right now. If you are really serious about getting employment, NOW is the time to have your resume in tip-tip shape and get it out there immediately. Be real honest with yourself. Does your resume meet all of the criteria that are listed above? If you were doing the hiring for a company and came across your resume, would you pick up the phone and call you to come in for an interview? I have helped thousands of people get new, rewarding jobs and I can help you too. I write hundreds of resumes for job candidates like you every year. And the important thing is my clients get results – they get interviews. I want to make sure you have every opportunity to get calls for the job opportunities you want! I look forward to you sharing your comments on the blog. 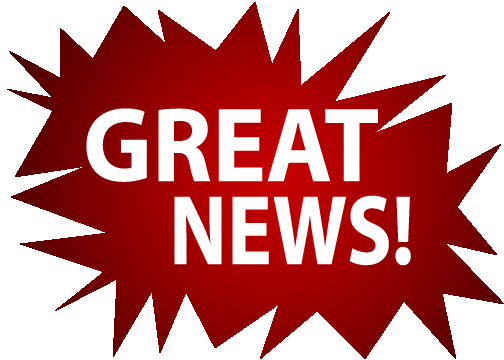 I have great news! My clients are still finding great jobs, and have been all along, even in this slow job market. Companies are still hiring and job seekers are landing jobs on a daily basis. So, what are these people doing that others are not? They are setting themselves apart from the masses. And, how do they do that? They know what value they bring to an employer and are able to communicate how they can contribute to an employer’s bottom line. When we talk with our families and friends these days, often we are discussing how to SAVE money or how to MAKE money. The same is true of companies. Employers see you as an investment, and they invest in you with the expectation that you will produce returns on that investment. These returns are in the form of how you will SOLVE a challenging problem, help them MAKE money, help them SAVE money, or help them INCREASE their efficiency. By communicating how you have delivered these types of results in the past, you illustrate that actual return on investment (ROI) that you delivered. This is what will easily set you apart from your competition. So, don’t let the rising unemployment rate throw you into a panic. There are job openings that come up every day. Make sure you focus on emphasizing what is in it for the company. It’s not about what’s in it for you. IT”S ALL ABOUT THE COMPANY. What can you do for them? How can you solve their problem? How can you make more money for them? In what ways can you save them money? How can you help them in these tough economic times? Emphasize and communicate how you can be an asset to the company, and you will be surprised how quickly you will see positive job search results. Your comments are welcome and appreciated! Success means different things to different people. What might be considered successful to one person, might be considered by another as a step backwards. Whatever success is to you, it is very personal and should have special meaning to you. Here are steps you can take to highly increase your chances of succeeding in whatever you do. Decide what goal you want to reach and know that you can achieve it. I recommend you make a goal that is somewhat out of your comfort zone, but not so far out that it seems ridiculous. For example, if you are making $33,000 this year and you want to increase your income, it would be more believable for you to set a goal of making $50,000 and probably hard for you to imagine making $100,000. I believe you can accomplish anything you know in your mind that you can do. Get your mindset in the right place. Commit 100% to achieving your goal. There are no shortcuts to success – what you will achieve will be in direct proportion to the effort you put into it and the commitment you have to succeed. I just heard Olympian Michael Phelps say in an interview “I’ve done everything I put my mind to.” That’s what you have to do. I can remember a few years back, deciding to loose 30 lbs. Now I had made that statement before and did not reach my goal, but this time I was 100% committed and I just knew it would happen – and it did. Decide what steps you have to take along the way to achieve your goal. Learn the knowledge you need to acquire, who has to help you and what resources you need to reach you goal. Make your own luck by persistence, hard work, learning and applying that learning to get the job done. Monitor your journey. Have a plan and keep track of what you must do. For this, you must have some way to measure your progress. Track what you are doing right and what doesn’t seem to be working. Fine tune your progress along the way as you map out the route you want to travel. The more you adapt and change according to the circumstances, the faster you will get to where you want to go. Learn how to handle/channel your stress. Stress is a natural part of existence, and it is also necessary. If you want to be successful, you have to learn how to deal with stress better. I know many of you are under a lot of stress because you do not have a job and are wondering whether your money will run out before you get a now one. Take care of yourself and keep moving forward with what you have to do to gain new employment. 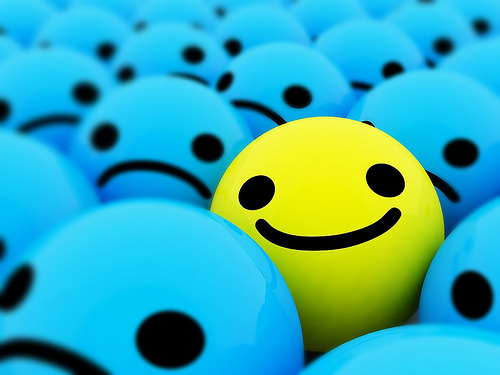 Bring more positive into your life and eliminate the negative. I know this is easier said than done, but it is essential for you to achieve your goals. Eliminate as many negative influences as possible and focus on where you want to go and why. Surround yourself with things that will benefit you, and spend your time with positive, successful people. Embrace the positive people and influences, and let them overwhelm and influence you. Appreciate and celebrate each little success along the way to reaching your big goal. If you have written down the essential steps you need to do to accomplish your goal, check off each step you have complete, then stand back and see you have reached your vision. Your goal will be achieved! Every effective and efficient job search has a Plan of Action. Without a plan, your job search will probably seem overwhelming and scattered. The very act of creating a plan puts you in control with simple steps to reach your goals. Plans make dreams materialize. They move desires from your head and heart to your hands and feet. 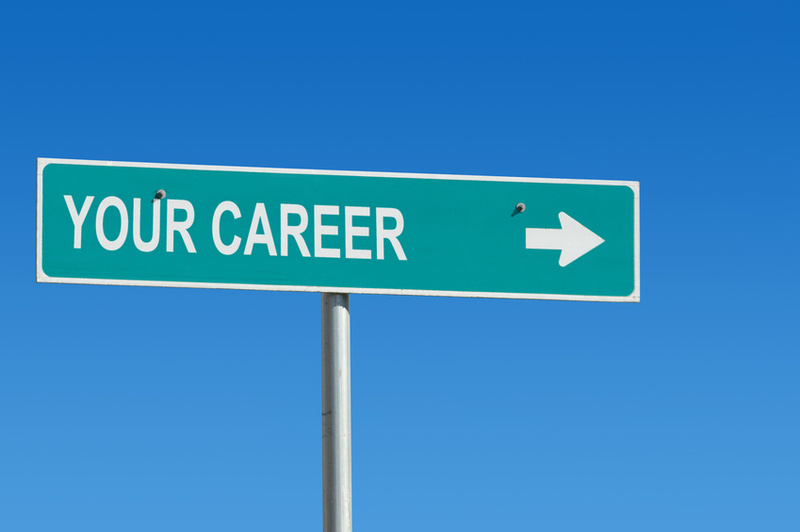 Here are ten quick tips to make your career dreams a reality. Your first small step in your job search is to develop a plan of action. When listing the stps you need to take, the goal seems easier to conquer, and you can plot out a time frame for what you need to accomplish. Analyze your best fit in relation to market realities, and then settle on one or two targets for the focus of the search. 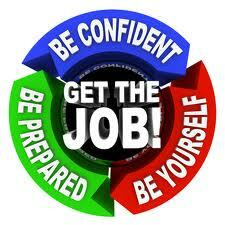 Express skills in resumes, verbal scripts and interviewing responses. Investigate by assembling a list of 5-100 companies and identifying their TOP issues and key contacts. Orchestrate targeted/active and traditional/passive search strategies. Finally, Uncover the employer’s priorities, needs and motivation to hire; clarify the key deliverables of the target position and offer proof the candidate can do the job. Front and center to any effective plan is a “gotta have it” goal. This goal should be inspiring – what is it that drives your job search – why is it so important to you? Using a scale of 1-10 (10 being the highest), rate yourself on each of these 10 factors. Shore up any areas needed to speed up the search. If your score is below 50, consider changing the target to a “bridge” job if you want to be in a new position quickly. The two most common factors for screening applicants are functional skills and industry experience. If you don’t score high in these two areas, your search can stall in a hurry. Be sure to check my next blog post on Thursday, July 26, 2012 for the remaining 5 tips. Thank you for reading this article. I welcome your comments below. I am deep in preparation for launching my Affiliation for Business Professionals Over 50. My goal is to address the special needs and concerns for people in this age bracket, whether they are currently employed or looking for a job. You have shared your valid concerns and I have listened. This is why I have created the Affiliation for Business Professionals Over 50. My goal is to make sure that you have the right information and tools to get as far in your career as you want to do. It’s not your fault that you don’t know this information. The rules are constantly changing and it’s hard to know what currently works and what doesn’t. So, in order to address this concern, I will be holding a webinar each month where I will interview highly qualified experts in each of these subjects as to how best to address these challenges. I want to make sure you have every advantage to work int he job you want at the pay you deserve. Please help me by letting me know of any other concerns you have in advancing your career, whether you are currently working or not. If yours are different than those listed above, please put them on the blog comments and I will be happy to address them. I look forward to your feedback. Seek support and/or training – It’s always better to go through a job search having the support of others. You won’t feel so alone and you will get lots of terrific information and advice. If you want to take your career in a new direction, investigate to see if more training is needed. Set goals – Know what specific direction you want to go and chart a path for getting there. Create a plan and work your plan – List all the steps you need to take to go from where you are to where you want to go. Also, list those whose help you will need along the way. Set and hold daily “Work Hours” – Set specific time aside each day, or each week, to work on your job search. Make sure to track your progress and follow up when necessary. Take inventory of your skill set, and investigate any job you consider interesting, that would use that skill set – Often times you will have to change industries, if not careers, so you need to know what other types of work you can do, and feel confident of the value you would bring to that position. Leverage your job search tasks – Make sure the way you spend your time brings optimum results, no matter how much time you devote to your job search each week. Use job boards, but also research companies, network in person, network on the Internet, attend Job Fairs, and set up informational interviews. Take time to care for yourself – As you know, being out of work and conducting a job search can be very stressful. Take time for yourself. Go for a walk, read, enjoy family and friends, soak in a tub – anything you enjoy that relieves stress for you. Also, give yourself rewards along the way – when you accomplish big and little successes. I welcome your comments regarding this topic. Also – feel free to ask any questions you might have and I’ll be happy to address them in future blog postings. That way, I can address your needs, and make sure you get relevant information on what matters most to you!